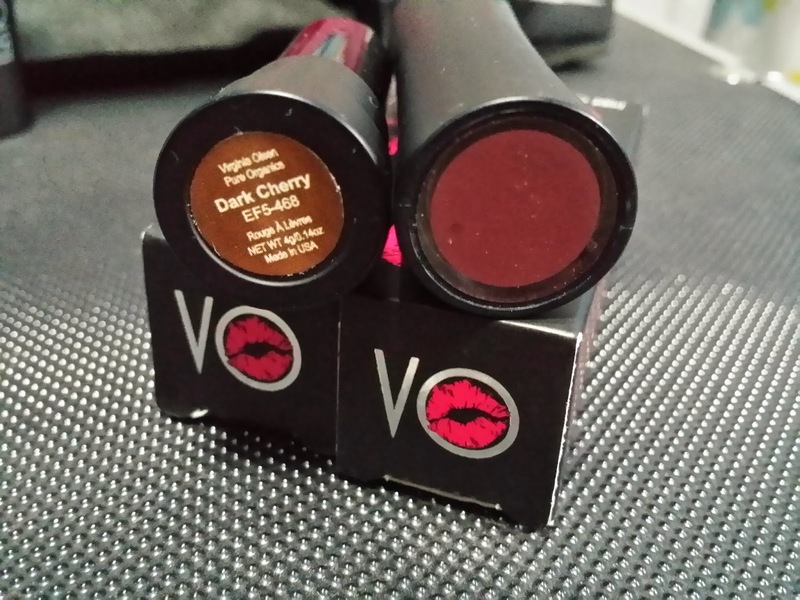 Virginia Olsen's Pure Organics Lips Creme in Dark Cherry and Bite My Lips* | Vanity and Everything in Between. Dark Cherry can be described as a Plum shade. It might not look as dark is it should be from the tube. Once you apply it on your lips though, that's when you'll see how dark it is. It's very pigmented so one swipe is enough. TIP: if you find this too dark, put a tissue on your lips after applying this lipstick so that the excess will transfer. You'll get a very pretty shade that suitable for day time! I always do this! Bite My Lips is your typical red shade of lipstick. It's like a red apple shade with a tad hint of orange, if you get what I mean. 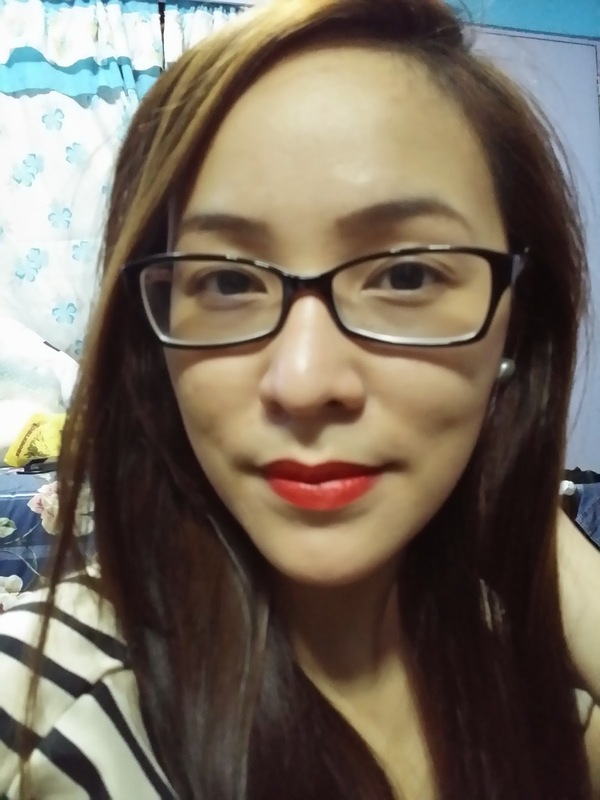 I also love red lipsticks and I don't have a lot of reds in this shade since I'm more partial to dark reds. 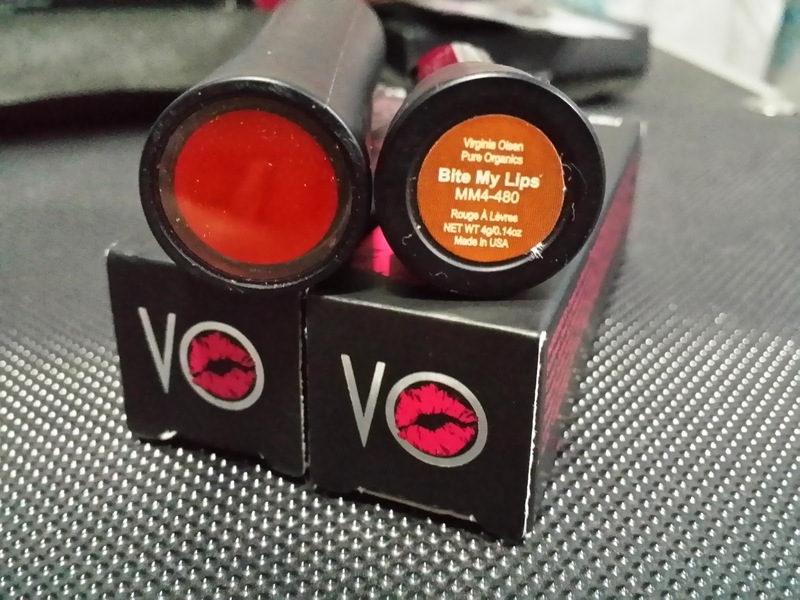 So, this is a great addition to my lipstick collection! 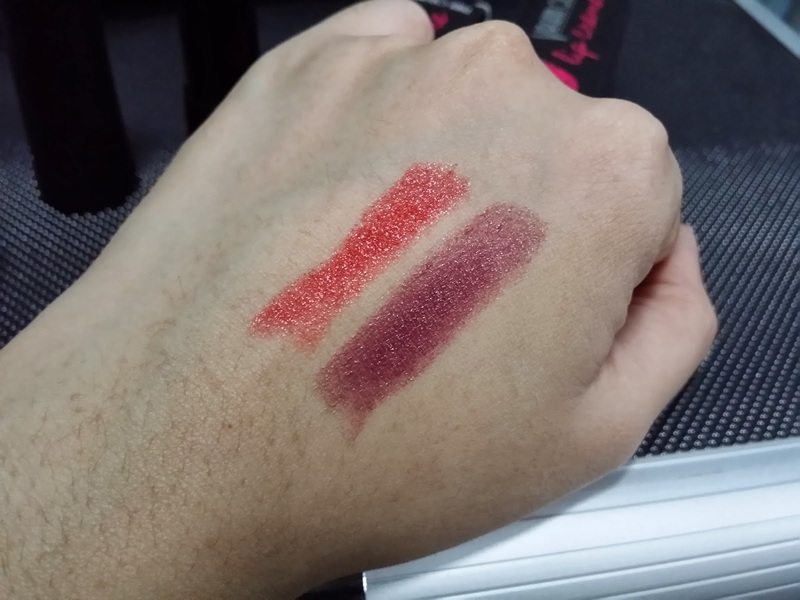 I love these lipsticks because they are very pigmented! One swipe and you'e good to go! The staying power is very impressive as well. It just stays put! There were stains left at the back of my palm when I wiped it off with tissue. 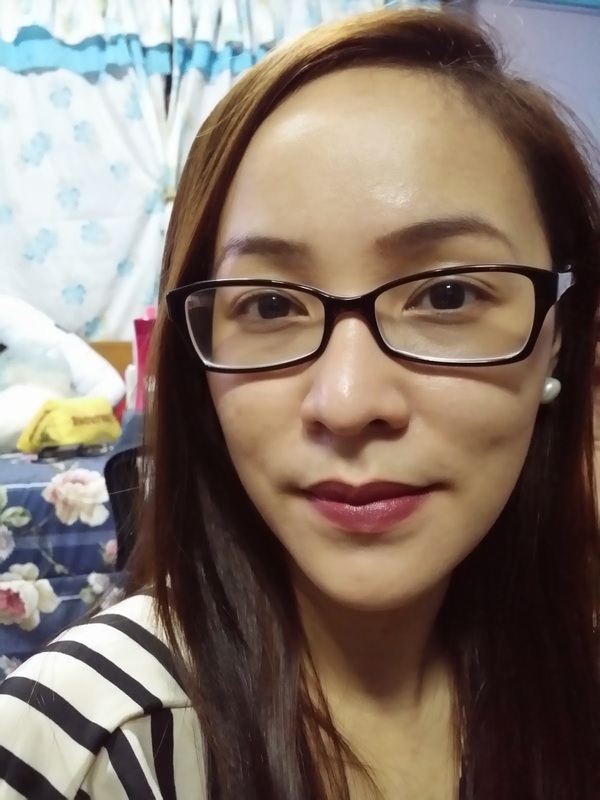 Same thing when I applied it on my lips - I slept wearing Dark Cherry and it was still there when I woke up. Good news though! 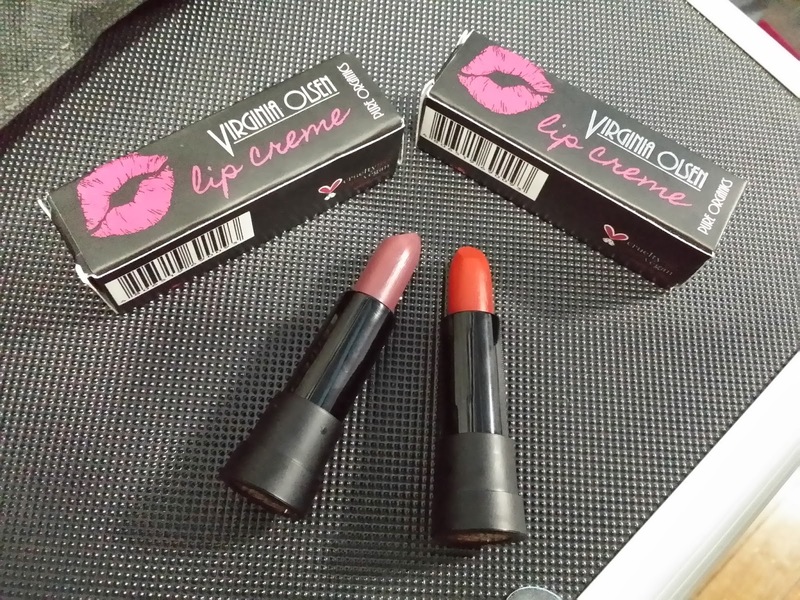 You can get these lip cremes at a discounted price of PhP239 only at The Ramp, Crossings! This promo applies to all weekends of January! You can get you Virginia Olsen stash by visiting their website or visiting The Ramp, Crossings.